Digital platforms are thoroughly transforming industries, such as finance, insurance, or healthcare and pharmaceutical. The large volumes of data generated through equipment and machines provide significant opportunities to develop new business models, improve products and services, as well as bring about considerable economic and social benefits. Innovative kinds of objects, mobile phones, PCs, vehicles, files, applications or processes still lack a unique traceable and manageable system of digital identities. Therefore the need for IAM solutions that can function securely, while fulfilling the challenges and opportunities of the digital age, is constantly growing. To enhance the digital transformation, PATECCO develops new generation security technologies related to cloud access control, user behaviour analytics, multifactor authentication, and mobile threat defence to help firms establish security architectures. They all are fit for purpose for the mobile and cloud era in computing and a new age in data compliance under GDPR. To protect the enterprises’ data, the IAM company implements Identity and Access Management (IAM) system to make sure the right users have access to the right resources, at the right time, and for the right reasons. This not only applies to company data, but also to business partners and employee details. The right IAM and API Management tools provide the companies with all the flexibility they need to control and protect the data while their processes run smoothly. PATECCO prepares the enterprises to be technology-ready and to protect digital transformation in various scenario by providing secure access with modern, mobile multi-factor authentication. In the digital ecosystem, it’s critical to protect the sensitive corporative data and to prevent the risk of a breach. Identity and Access Management solutions represent technologies that use access control engines to enable centralized access using methods, providing secure and productive environment. They not only foster trusted interactions among organizations in the digital ecosystem, but they also enable interoperability between the various technologies. Adding multi-factor authentication to digital workspaces is a good approach for organizations to transform secure access to help manage that risk. The Managed Services company improves scalability by implementing cloud access control, as well. The tool is foundational enabler of digital transformation projects and offers the scale and speed that is needed for businesses to focus on transformation. 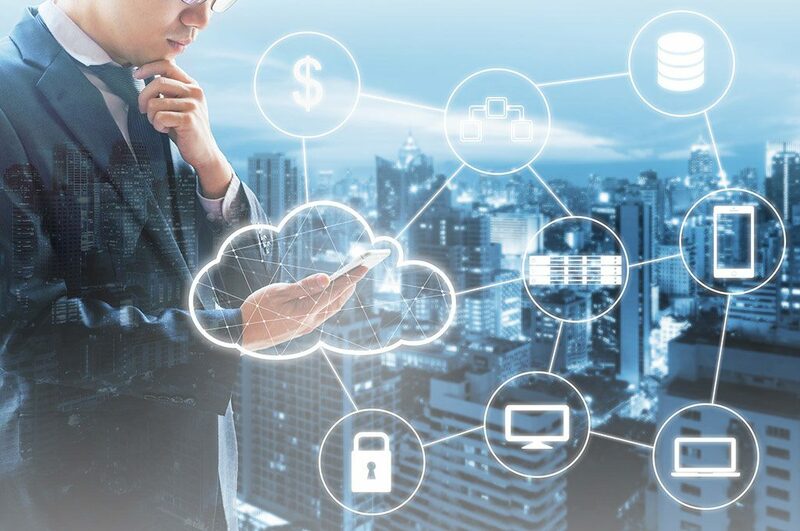 Cloud systems provide business with the ability to quickly and efficiently transform their process, embrace the digital transformation and use its benefits. If you’re like most organizations whose Identity and Access Management program is not efficient enough, you may need help maturing supporting processes. If you undertake digital transformation objectives, or face rapid growth or enterprise changes, we are here to support you in building a strong foundation to keep your business protected.